Introduction: The biological survey of these reserves is part of a programme evaluating the relationships between vertebrate fauna and vegetation on reserves in the Western Australian wheatbelt. Studies published are listed in Dell (1979). In addition surveys of Marchagee Nature Reserve (Dell et al. 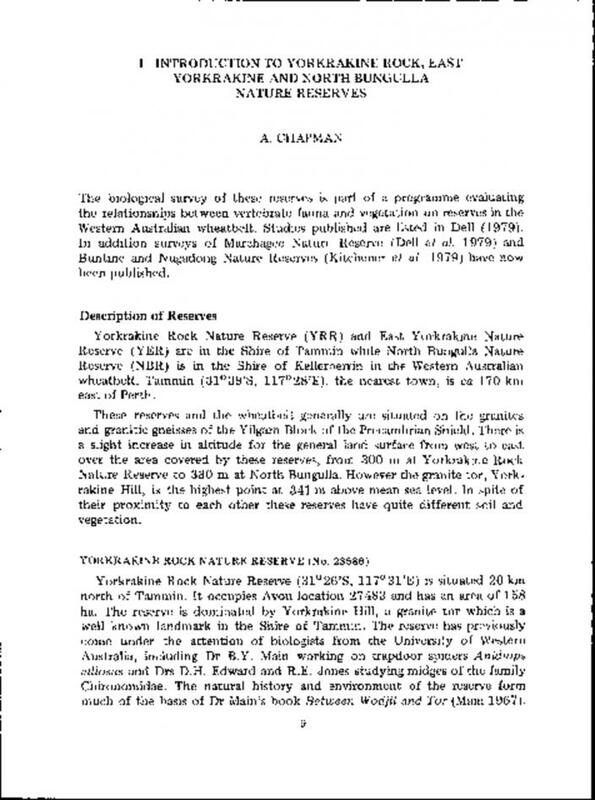 1979) and Buntine and Nugadong Nature Reserves (Kitchener et al. 1979) have now been published.